There are a few reasons that PHP runs slowly in Windows. Not because of the request delegation from IIS to PHP via FastCGI or CGI. In fact, the delegation is quite robust in FastCGI. TCP/IP connection problem between database and web server may be a reason. Some Windows specific behaviors may be another. One of the Windows specific behaviors is the invocation of gethostbyaddr() function. gethostbyaddr() on windows waits for WINS resolution timeout even when you disable WINS on the server. This means that your DNS server may return "No hostname found" and windows gethostbyaddr() will just sit there, never having asked a WINS server anything, for 3 - 4 seconds. I watched it do just that with a sniffer. Difference between gethostbyaddr and getnameinfo. First at all, sorry for my english. It's not my native language, and, unfortunately, i havn't time to verify all text i enter. Now, to subject. Computer may have many "names", and two main name groups of names computers have is a "DNS" names and a "NetBIOS" names. is displayed in you "network neighborhood" and generally used in local networks to identify computers. The "DNS" name is a name given to machine in internet. This name is a synonim to machine IP (becouse IP is\s not huma-friendly). "DNS" name is stored in special internet services (so-called "DNS" servers), not at the computer itself. Generally, computer can be shut off, but it's DNS name will be available and produce correct IP. So, we have 2 names for machine - NetBIOS name and DNS name. Third command will be valid ONLY if my computer is conected to internet. As you can see, NetBIOS name is not available from internet. The main difference between NetBIOS name and DNS name is that DNS name will be available only if computer is connected to the internet and has i's name registered on it. NetBIOS name will be always available to computers that directly connected to target one. 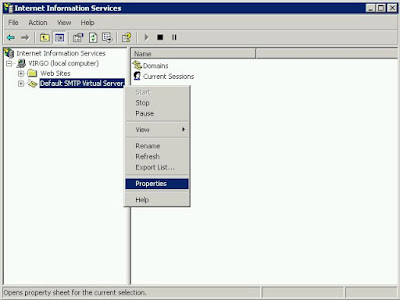 To get DNS name, you must send a request to DNS server (it's IP is written in the system registry if you computer is connected to internet). If DNS server is unavailable, it will take default timeout time to discover this. If it's available, DNS server will return you human-friendly name of target machine if it's exist in database. To obtain a NetBIOS name, you must send UDP packe to target machine and wait for responce. Becouse UDP is not a guaranteed-to-deliver protocol, responce may ot came, came corrupted, came many times etc. Your program must patiently wait for responce (it's not from 137 port - you must SEND UDP packet to 137 port of target machine, but responce will be returned to the port you specify. Only Win95 no OSR2 has a bug there responce always returns to port 137). gethostbyaddr() will first try to connect DNS server, and, if it's unavailable, will try to get NetBIOS name. So, it will get machine name one method or another in most cases. getnameinfo() will ONLY try a DNS name, no attempts to get a NetBIOS name(). That's the difference. If you write a program that must get names of local machines as well as names of internet machines (for example, network or port scanner), you MUST use gethostbyaddr(). If you write a program that will operate only with names of remote machines (IRC client, for example) - you MUST use getnameinfo() becouse Microsoft instructs so in lates MSDN releases. If you have any questions - feel free to contact me. Also, if i write something wrony, i will be very thankfull if you send ma a hint. Best regards, Gregor The Eye. However, there is no getnameinfo() function in PHP. One of the nice feature in PHP documentation is the commenting. A commenter contributed a gethostbyaddr_timeout() function that only query the DNS server. You need to pass the DNS address (instead of using the OS specified DNS) to the function, though. In RIA, Flash is the dominant player while Silverlight and JavaFX are new. However, Silverlight is in a better position than JavaFX. .Net is a huge platform like Java. However, Microsoft trimmed .Net into a 5MB version to become a Silverlight runtime. On the other hand, Sun only added scripting syntax to Java and reuse the whole Java runtime as well as the branding. In fact, Java applet and Java web start has become the burden of the Java family. Users perceive Java is slow, insecure, and has compatibility issues whether or not any of them are true. So, it is no longer a technology issue. It is a marketing issue. In fact, when it comes to marketing, Microsoft does it far much better than everyone one else in the technology industry. Implementing public web site, we usually need an SMTP server for registration verification, reset password notification, etc. We usually utilize existing email infrastructure to send the email. However, we may not have the control of the infrastructure. The SMTP server may locate overseas or may go down sometime. In these cases, the response of the web server seems slow. We can setup the SMTP in local server to resolve the problem. There is a special record in DNS called MX record (Mail eXchange record). Using a@b.com as an example. The SMTP server inquires the MX record of b.com to resolve the SMTP server that will receive the email. 2. Choose Access tab and click the Relay button at the bottom in Relay restriction section. 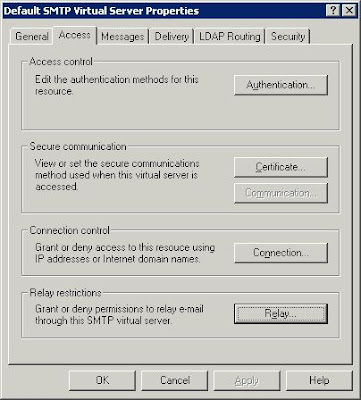 An SMTP relay lets an SMTP client use an SMTP server to forward e-mail messages to a remote domain. By default, it is disabled so you cannot send any email. 3. Add your local host address to allow your local application to send email. You can even add your internal network address so your other machine can use this as the SMTP relay. 4. Optionally, you can prohibit the external connection by configuring the Connection control section. Since SMTP will queue the email and return, it responses instantly. The web performance also improves instantly, too. All the way back to 10 years ago, HTML was designed for non-professionals to publish information to the world wide web. The parsing and interpreting rules are loose. Web browsers implemented a lot of heuristics to display as much information as possible. Now, we have been entered the age of Web 2.0 for a few years. The legacy loosen rules remains. One of the rules I have discovered today is the HTML entity. HTML entity without semicolon will be interpreted as if it has semicolon. For example, &lt will be interpreted as &lt;. The problem is when writing a web application. You will need to concatenate query string in <a> tag like <a href="list.php?a=x&b=y">. The query string parameters cannot be named as one of those HTML entities. So, <a href="list.php?a=x&lt=y"> does not work. The URL will be interpreted as list.php?a=x<=y. Certainly, no one would use lt as the name of a query string parameter. However, some other common names including euro, copy, pound, cent, uml, not, micro, times and divide will not work. People usually said that Firefox is more developer friendly than IE or Safari. Currently, there are two embarrassing incidents that flip my perception of Firefox. It is OK if web developer have the total control of the HTML. However, we have web components in .Net and Java Server Face. If such components do not aware of this, user may had a bad experience. XMLHTTPRequest is the key doing AJAX! The HTTP request is usually uncachable when using POST. Why on earth developers need to code it themselves? I think implementing the standard is important. It relieves the web developers headache. On the other hand, please do not introduce new problem to the developers. Google Chrome - Renders the Kaleidoscope smoothly. How Bad Can a Bad MPEG Decoder Be? I have be using VirtualDub for years to encode video files. I found many criticisms VirtualDub is being old. 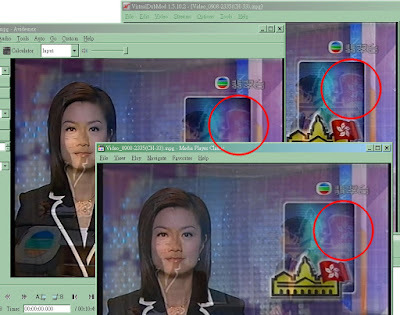 We should use more modern encoder support new file format like MP4. Avidemux seems very popular as it has as GUI. No command line option to be remembered. I used Avidemux to try to encode a few files and it seems that it could get the job done. Until recently, I found a very unforgivable feature (a.k.a. a big bad bug)! The frame detail got blurred! I thought it was a blurred by the codec at the beginning. However, when I look at the preview screen in Avidemux, the details has been destroyed already comparing with VirtualDub and Media Player Classic (which deinterlaced the frame and still looks good). We want to minimize the quality loss of the video in many ways like increasing bitrate. Losing the quality while decoding the source file is not acceptable. Please trash it right the way! Sometimes, we want to utilize the some API for other work. Google Maps API is a very good example. You may want to use it as a photo viewer. Like allowing user to zoom-in and zoom-out, tagging, etc. However, since the API needs to validate the key online, you cannot take it as a standalone application where people can use offline. The obfuscated code can be ignored since you do not need to understand everything. All you need is finding the key statements that involve loading resources online (like module loading, image loading, etc). You can use a formatter to beautify it a little bit and decode it mentally. The key verification is the most easiest part. Like all hacking, find the verification function and return a true will be good. The process can be done within an hour for an experienced programmer. With a good packager, we can have a really nice image mosaic viewer offline. There has been some times that we want to play with some server but have no idea how to start with. Here are some of the Microsoft Servers eBooks for installation. Having an AS2 port setup in an orchestration is easy to configure a one-way send port. However, configure a request-response send-port is a bit tricky. You probably know the message schema of the send port but you have no idea of the schema of an MDN. You may attempt to use System.Object, System.String, or even create an MIME message type with two parts. However, none of these options work. Going through the schemas under the BizTalk EDI Application in Administration Console, you only see the property schema of EdiIntAs.EdiIntProperties and no sign for other schema for MDN.